Google Trusted Photographers are taking high-quality still photographs that will be stitched into 360-degree views using panoramic camera technology. 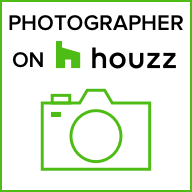 These Trusted Photographers are independent contractors who have been trained and certified by Google to produce high quality panoramic images. As a business owner, you can also upload your own photographs to Google by signing into Google+ Local. You’ll be able to see the photos and 360-degree panoramic imagery directly on Google search results and on your Google+ Local page. Trusted Photographers are scheduling photo shoots with business owners in a limited number of cities in the U.S., Australia, New Zealand, France, Ireland, Netherlands, Canada, and the UK. Even if we aren’t currently active in your area, you can always upload your own photos via Google+ Local. Yes! It’s great to see interest from around the world, and your requests will help us decide where to expand this program next. Trusted Photographers are independent contractors/businesses that are not employed by Google, agents of Google or affiliated with Google in any way. Google has certified them because they meet Google’s standards of quality for taking the feature pictures and panoramic pictures, uploading them, moderating them and eventually publishing them on Google properties. You must have the proper authority to allow a Trusted Photographer access to the business premises to collect photographs and to subsequently allow Google to use those photographs in its products and services. People with this authority include the owner of the business or a director or manager with the designation to make those commitments on behalf of the business. Please note that by agreeing to the terms and conditions and the Google Terms of Service, before your photo shoot, you are confirming that you have the authority to make that commitment. Yes, if you see a major issue you can ask us to blur some areas in each of the panoramic images. You may also ask us to take down all panoramas. At this time we are unable to take down individual panoramas. To request blurring or takedown click on the “Report a Problem” link on the specific images where you see issues and provide the requested information. Please note that the blurring/removal process may take several days.